"Food is life, cooking is fun. Combine the two and you’re sure to discover that it is very easy to prepare a meal for oneself." Did you ever think of giving your gas stoves a rest by trying out some no cook recipes? 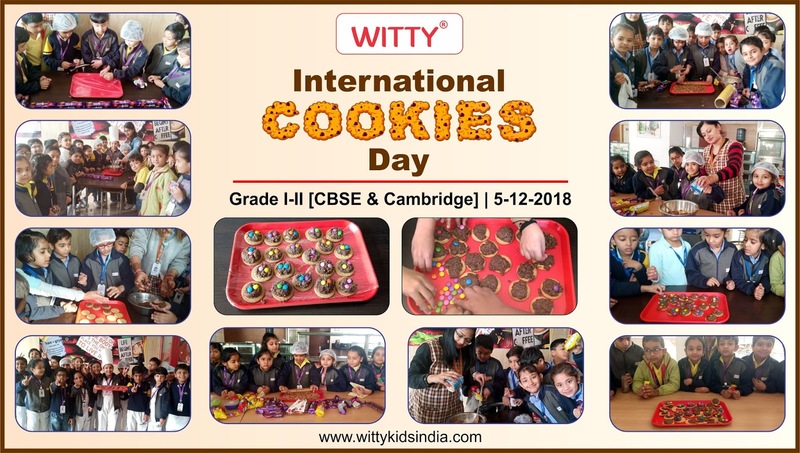 From salads and sandwiches to shakes and ice creams the options are endless… But our little chefs of Grade I and II at Witty International School, Udaipur got hands on experience on Cookie Making and gave a warm welcome to the winters, without fire. Fireless Cooking aims to engage the children in positive sensory experience. 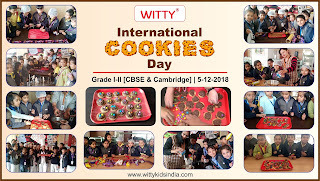 Students involved themselves in the preparation of cookies with biscuits along with healthy ingredients and also learnt about food groups and nutrition. It also helped them to improve their motor skills .Young learners discovered that cooking can be a creative, easy and safe experience that is as much fun as it is to eat the yummy delights that resulted from the experience!